This morning, negotiations on the Technical Measures Regulation, which will decide the fate of electric fishing in Europe, resumed after a long summer break. The three institutions (Commission, Council and Parliament) met in the Parliament in Strasbourg in a closed-door “Trilogue” meeting. A “shadow” rapporteur from each of the nine European political groups follows the negotiations to ensure that the Parliament’s position is respected and defended by the rapporteur of the file, in this case the Spanish MEP Gabriel Mato of the conservative party EPP (European People’s Party), known for his positions in favor of industrial fishing lobbies. This morning, Gabriel Mato showed his true colors by categorically refusing that the political group of the European United Left (“GUE”) be represented by French MEP Younous Omarjee. The latter, commissioned by his group, went to the Trilogue meeting but was expelled by Gabriel Mato in a violent denial of democracy denounced by Younous Omarjee in a video posted on Twitter. 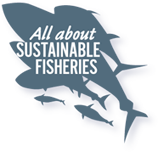 The meeting, which is due to continue this afternoon, was held with the scandalous absence of the GUE group while the fate of electric fishing was being discussed. The rotating Presidency of the Council, currently held by Austria, has indicated its willingness to quickly wrap up the Technical Measures Regulation, but the proposed political compromise on electric fishing is unacceptable as it stands. French Green MEP Yannick Jadot analyzed the proposed compromise and showed that it allows, despite cosmetic phrasing intended to confuse a non-expert reader, to continue electric fishing and even to extend it in the future through a proposal from the European Commission. 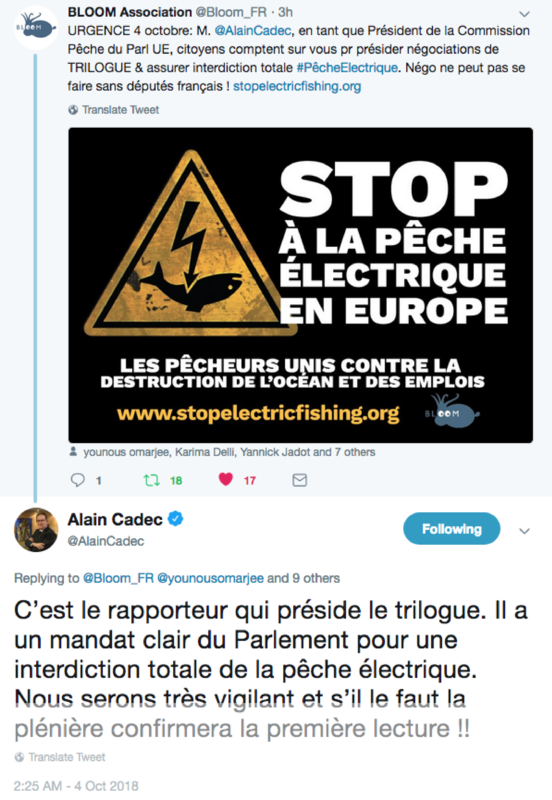 The Chair of the European Parliament’s Fisheries Committee, French MEP Alain Cadec (EPP group), stated on Twitter that the rapporteur (Gabriel Mato) had “a clear mandate from the Parliament for a full ban on electric fishing”. He added: “we will be very vigilant and if necessary the plenary session will confirm the first reading”. He was referring to the fact that any political compromise would necessarily have to go back to Parliament for approval. Apparently, Gabriel Mato does not seem determined to defend the Parliament’s position as voted in January 2018.